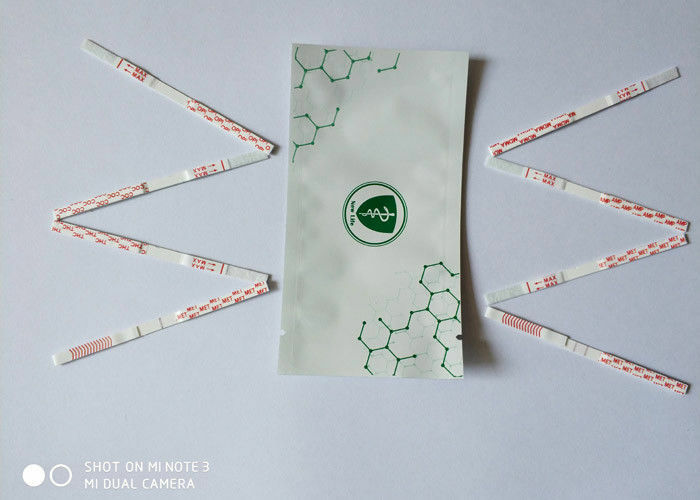 The PGB Rapid Test Strip (Urine) has been designed to detect PGB through visual interpretation of color development in the Device. The membrane was immobilized with PGB conjugates on the test region, and the sample pad was pre-coated with colored anti- PGB antibodies colloidal gold conjugates. After specimens were added, the gold-conjugates move along the membrane chromatographically by capillary action and antibodies get to the test region. If there is no drug molecule in the urine the antibody gold conjugate would attach to the drug conjugate to form a visible line. 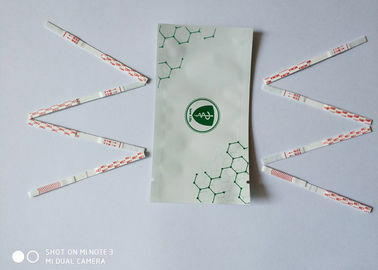 Therefore, the formation of a visible precipitant in the test region occurs when the urine is negative for the drug. If PGB are present in the urine, the drug antigen competes with the immobilized drug conjugate on the test region for limited antibody sites. 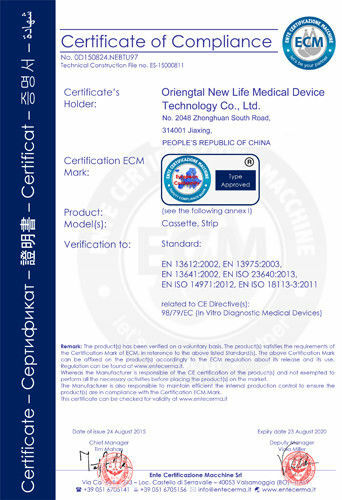 In case of sufficient concentration of the drug, it fills the limited antibody binding sites. 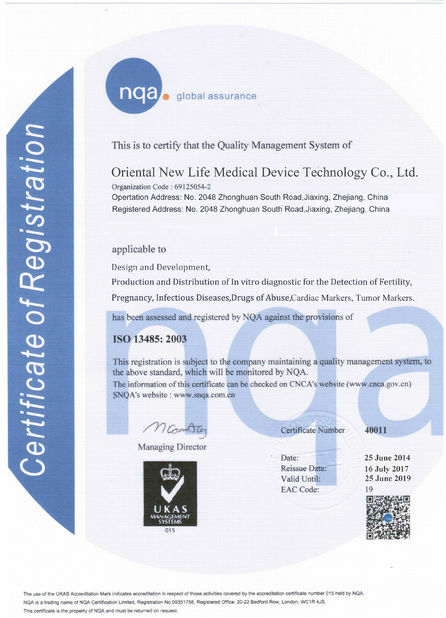 This will prevent attachment of the colored antibody-colloidal gold conjugate to the drug conjugate zone on the test region. Therefore, absence of the colored band on the test region indicates a positive result. Appearance of a colored band at the control region serves as a procedural control. This indicates that proper volume of specimen has been added and membrane wicking has occurred. A. 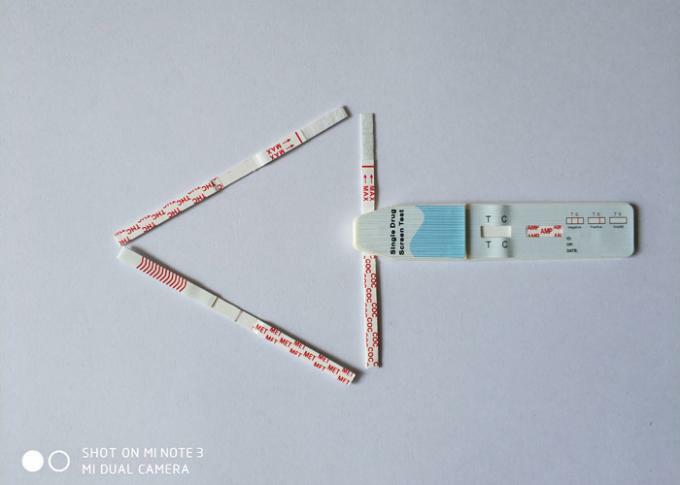 Accuracy Accuracy of the PGB Rapid Test Strip (Urine) was established by running urine sample against GC/MS specification.